There aren't enough superlatives to describe this book. This is a MUST HAVE for any serious soccer fan's library. 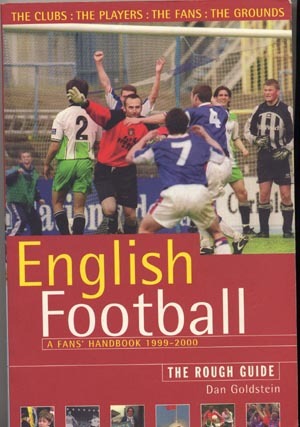 Written in the dry humour style of the famed "Rough Guide", the Fan's Handbook" includes a significant chapter profile on each of the 92 clubs in the professional Football League. Rather than concentrate on mere stats, these profiles describe the history and general "feel" of the club. Each section includes directions, ticket pricing, web sites, decent pubs, etc.